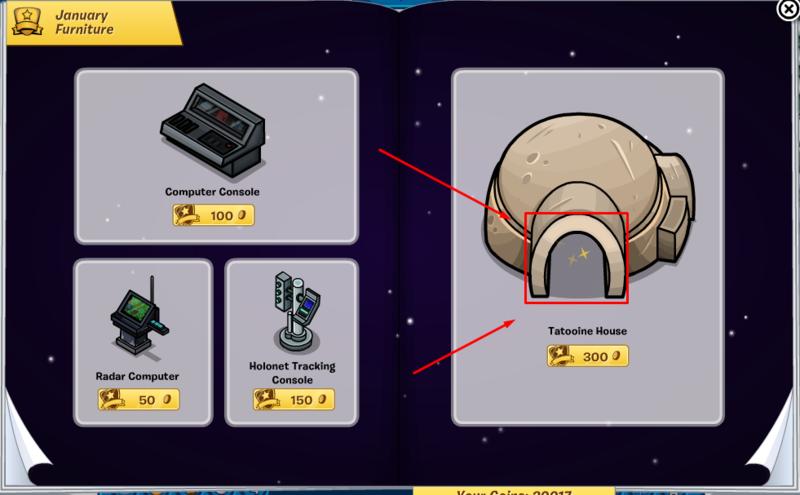 If you're looking for hidden items in this months catalog then you're in the right place! 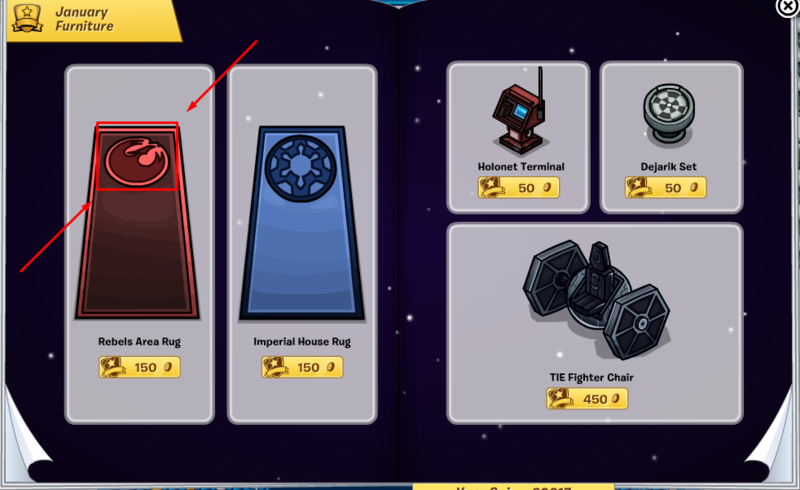 This month we get a whole lot of Star Wars themed items and even igloo designs! 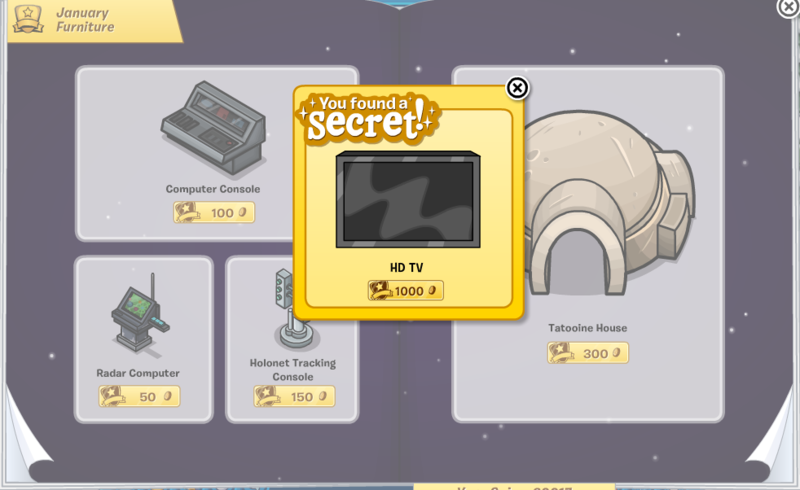 To find the HD TV click on the Tatooine House item. Note: This HD TV item rarely gets released and is a very good item so be sure to get it now! 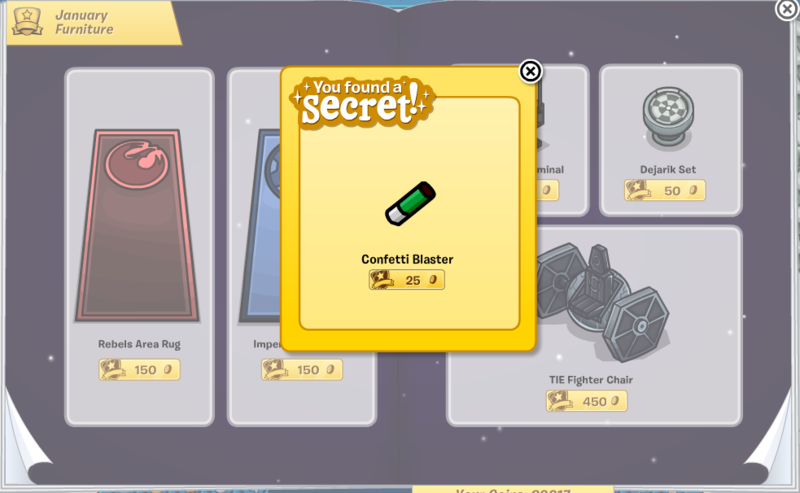 To find the Confetti Blaster click on the Rebels Area Rug.